Hull City’s record home attendance was 55,019 at this stadium for a match against Manchester United on 26th February 1949. A record which will never be beaten as the new seated stadium only has a capacity of less than half of that at 25,586. Roll out the pastry and line the tart tin. Prick the base and line with foil and the baking beans, make sure the beans go right into the corners, well not corners but you know what I mean. Chill for 15 mins by listening to some Amy Winehouse. Now the pastry is chilled, bake for 15 mins then remove the beans and foil and return to the oven for 5 mins until the pastry is a pale biscuit colour. While the casing is cooking melt the butter and sugar in the saucepan, pour into a bowl and beat in the eggs and almonds. Spread the tart case with a little jam and the blueberries, then pour the egg mixture carefully over the top. Bake in the oven for 20 mins until the mixture is golden, risen and springy to the touch. Introduction: Ian Edward Wright, MBE (born 3 November 1963, Woolwich, London) is a former English professional footballer turned television and radio personality and currently part-time first-team coach of Milton Keynes Dons. He played 225-253 (I’m not sure which) games for Crystal Palace between 1985 and 1991 scoring 117 goals in all competitions. He was voted into their Centenary XI and named their “Player of The Century” in 2005. Crystal Palace talent scout Pete Prentice saw Wright in a local Sunday-league match playing for Greenwich Borough and invited him for a trial at Selhurst Park. He impressed Steve Coppell, and signed for Crystal Palace in August 1985 where he was paid £100-a-week. The transfer fee? He was swapped for a set of weights. I like that he is a Millwall supporter and has been since he was a boy. Perhaps we will meet there one day. Wash the rice and drain well. Put into the dish and stir in the milk. Leave the rice to soak and soften for about 30 minutes. Add the sugar and lemon zest and stir it up. Grate the nutmeg onto the surface and dot with the butter. Bake in the oven for 2½ hours stirring it once after 30 minutes. Then leave well alone to allow the skin to form. Allow to cool and serve making sure that everyone has an equal portion of the lovely golden skin. Introduction: Sir Geoffrey Charles “Geoff” Hurst MBE (born 8 December 1941) is a former England international footballer. 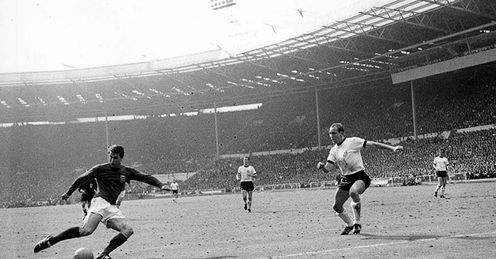 A striker, he remains the only man to score a hat-trick in a World Cup final as England recorded a 4–2 victory over West Germany at the old Wembley in 1966. He made many Germans very sour. Prick several holes in the skin of each sausage. Put the bratwurst and beer into the saucepan and bring to a boil. Reduce the heat, cover and simmer for about 20 minutes until no longer pink. Drain into the colander and set aside to cool. Now, in the same pan stir together the vinegar and sugar, cook until sugar is dissolved. Add the pickling spice, caraway seeds, drained sauerkraut and pepper. Stir again briefly, cover and allow to cool. Grill the bratHursts under the medium heat, turning frequently until the skins are golden brown. This will take between 5 and 10 minutes. Serve in the buns with mustard and the relish while watching international kickball on the tele between Germany and England. 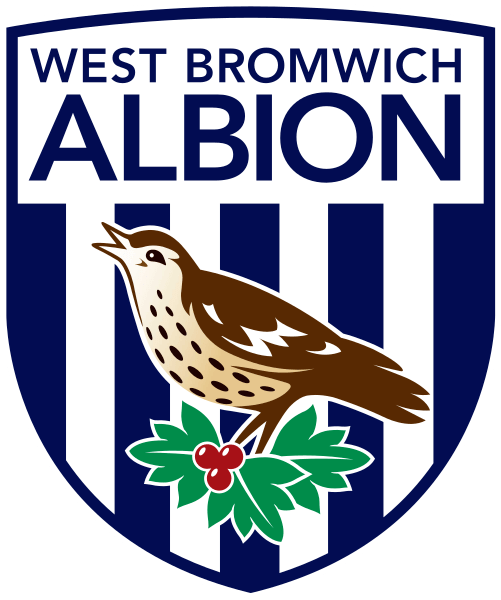 Introduction: West Bromwich Albion Football Club, also known as West Brom, The Baggies, The Throstles, Albion or WBA, is an English professional football club based in West Bromwich in the West Midlands. The club was formed in 1878 and has played at its home ground the Hawthorns since 1900. They are one of the founding members of the Kickball League from 1888. They have won the FA cup 5 times. Their local derby is against Aston Vanilla. Home kit: Food processor, medium mixing bowl and a medium sieve. Put the home kit berries into a food processor with the sugar and whizz until smooth. Press through a sieve into the mixing bowl to remove the pips and stir in the yogurt. Whisk the egg whites to soft peaks and fold into the yogurt/berry mixture. Spoon into 4 glasses. Chill for 1-2 hours. Serve topped with a sprig of the away berries. Introduction: There are a number of possible reasons why Swansea are known as the Jacks. First, there was a famous dog, a Labrador retriever or newfoundland, owned by William Thomas. The dog would always respond to cries for help, diving into the water and rescuing whoever was in difficulty. He rescued 27 people from the docks and River Tawe in and around Swansea; his name was Swansea Jack. Second, the derivation may come from the nickname given to Swansea’s skilled and dependable mariners. And third, a theory exists that the coal miners from there abouts were called Swansea “Jacks” because of their lunch-boxes that were uniquely made of Swansea tin and called Jacks. Who knows? I like the shaggy dog story myself. Here are William Thomas and Swansea Jack. Serves: might be 12 but it’s unlikely, they are exceedingly good. Grease the wells of a 12-hole muffin tray with butter. Heat the egg yolks, sugar and cornflour in the pan over a low heat, whisking continuously until thickened and smooth. Add the vanilla seeds, then add the milk and cream in a thin stream, whisking continuously, until the mixture is thick, smooth and well combined. Turn up the heat a little and continue to stir the custard mixture until it comes to the boil, then remove from the heat and cover the surface with cling film to prevent a skin forming and allow to cool. Roll out the puff pastry onto a clean work surface lightly dusted with flour and icing sugar. Cut the pastry in half and place one sheet on top of the other. Roll the pastry sheets up like a Swiss roll and cut the roll into twelve slices. Lay each of the rolled pastry slices flat onto the work surface and roll out into 10cm/4in discs using a rolling pin. Press a pastry disc into each of the wells of the prepared muffin tray. Divide the cooled custard equally among the pastry cases. Into the oven to bake the tarts for 18-20 minutes, or until the custard has set and is pale golden-brown and the pastry is crisp and golden-brown. Remove from the oven and allow to cool in the tin. Serve on the plate with a nice cup of tea at half time in front of the tele. 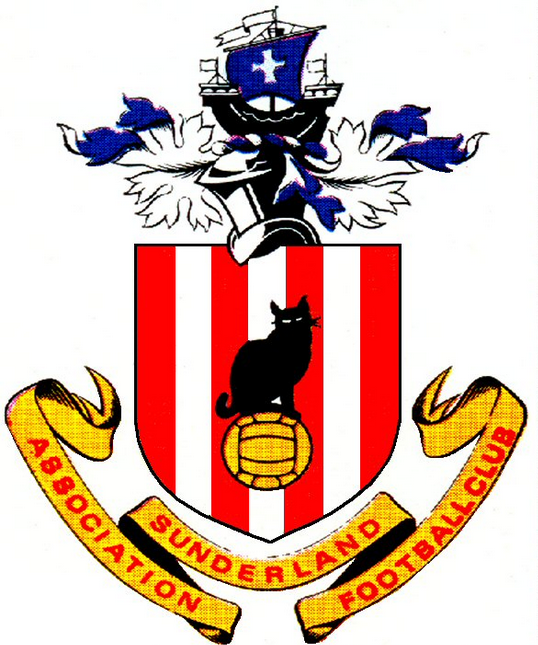 Introduction: The link between Sunderland AFC and the black cat stems originally from a gun battery on the River Wear in 1805 which was called the ‘Black Cat’ battery after the men manning the station heard awful howling from a wailing black cat. A hundred years later in 1905, a black cat was pictured sitting on a football next to Chairman F.W. Taylor and three years later a black cat featured on a team photograph. This is a vintage recipe for a Sunderland pudding from the 18th Century when it was also known as a flour pudding. Heat the milk until hot but not boiling and stir in the butter until it melts. Let it cool for about ½ an hour before adding the other ingredients. Stir in the sugar, flour and eggs and lemon zest. Whisk the mixture until light and fluffy. Butter the cups and fill them rather more than half full; bake for about twenty minutes to half an hour. Serve with fruit, cream, custard or all three poured into the cups you cooked them in. Remember to put them on the saucers. Introduction: John Henry “Jackie” Marsh (born 31 May 1948) is Stoke City’s right back. Here he is with Mick Pejic and Goujon Banks. Marsh began his career with Stoke making his debut in 1967 where he soon became a member of Tony Waddington’s first team in the 1970s as Stoke enjoyed their most successful period. Marsh played in the 1972 Football League Cup Final when Stoke beat Chelsea 2–1. He also played for the club in the UEFA Cup. In total he made 440 appearances in the twelve seasons he spent at the Victoria Ground. Put the gelatine into the bowl of a freestanding mixer fitted with a whisk attachment and add 125ml (4fl oz.) cold water. Leave to soak while you make the sugar syrup. Put the sugar, golden syrup, a pinch of salt and 125ml (4fl oz) water into a medium pan and heat over medium heat, stirring, until the sugar dissolves. Turn up the heat and bubble, carefully swirling the pan occasionally, until the mixture reaches 240°F (or 115°C) on a sugar thermometer. If you have not got one of these the syrup should form strings when you lift out your stirring spoon. Turn on the freestanding mixer to a low speed and gradually add the hot sugar syrup. Turn up the mixer to high and continue beating until the mixture is very thick and white about 10-12min (set a timer to make sure the mixture is thick enough). Meanwhile, generously dust the non-metallic serving dish with sifted icing sugar. When the marshmallow mixture is ready, beat in the vanilla and the red food colouring to get your Jackie Marshmallow Stoke Red. Scrape into the dish and gently level. Dust the top with more sifted icing sugar and allow to stand overnight at room temperature. Put some icing sugar into a medium bowl, ready for dusting the individual marshmallows. Slice round the edges of the dish to release the marshmallow on to a board (you might need to peel it out). Cut (or snip) into 1in squares. Working a few at a time, toss the squares into the icing sugar bowl to coat and transfer to a container or bags. Complete until all marshmallows are dusted. You can of course make a another batch or leave half of this batch white for the full colours. 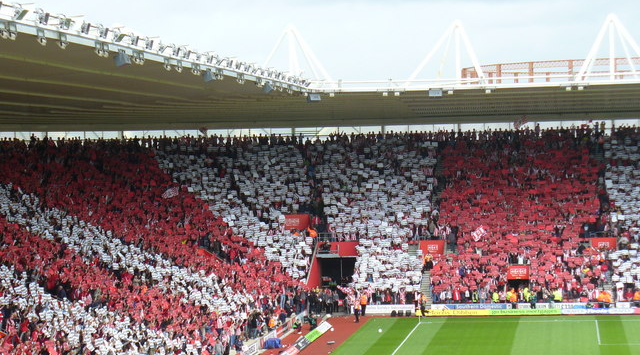 Introduction: St Mary’s Stadium is the home of Southampton F.C. in the lovely city of Southampton. It is a UEFA 4-star rated stadium and with a capacity of 32,689 is the largest football stadium in the south of England, outside London. The Saints have played there since August 2001 when they moved from The Dell, which for held just over 15,000 spectators. 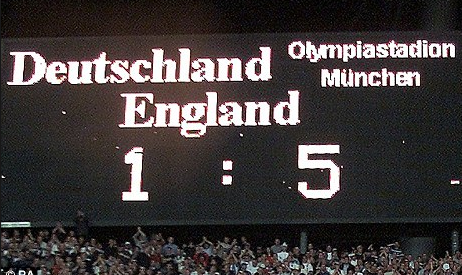 The first match was played on 1 August 2001 against RCD Espanyol. I have been to this stadium when I watched The Millwall from the stands. I was completely dressed in black for style purposes on that eventful day. Here’s a strawberry and cream recipe for the colours. 2 x 135g packs strawberry jelly, Hartley’s is recommended. ⅛ tsp. edible gold glitter, optional for the next FA Cup Final win. Start by making the jelly. Snip the jelly into cubes and put into the large jug. Pour over 300ml (½ pint) boiling water and leave to dissolve, stirring occasionally. Top up the mixture with cold water until there is 1.2 litre (2⅛ pint). Stir in the glitter, if using. Pour the strawberry jelly mixture into the kugelhopf mould or large bowl (if non-stick, grease lightly with the mild oil). Chill until completely set, which will take about three hours or one kickball match. Meanwhile put the sugar, vanilla, cream and milk into a pan and heat gently, whisking occasionally to help release the vanilla seeds, until mixture just begins to boil. Take off the heat and leave to infuse for 15min. Put the gelatine sheets into a bowl and cover with cold water. Leave to soak for 5min. Lift the soaked gelatine out of the water (discard water) and add to the cream pan – stir to dissolve (if the cream mixture is not hot enough to dissolve the gelatine, then reheat gently until it dissolves). Lift out the vanilla pod and leave the cream mixture until completely cool –the strawberry jelly needs to be fully set before proceeding. Gently pour the cream mixture over the set jelly and refrigerate to set completely – about 5hrs. Or two games of kickball. To serve, turn out the jelly on to a serving plate. If it doesn’t come out easily, dip the base of the mould briefly into a bowl of hot water (take care that the water does not touch the jelly). Turn out and serve. Introduction: Gerald Charles James “Gerry” Francis (born 6 December 1951) is an English former footballer and manager. Francis made his debut for Queens Park Rangers v Liverpool in March 1969. He was captain and central midfield player during the 1970s and was a key player in the QPR side which came within a hair’s breadth of their first-ever league title in 1976. He won 12 caps for the England team between 1974 and 1976, and was captain for eight of those matches. Put the cherries in a bowl, sprinkle with ¼ cup of the sugar, and let marinate for 30 minutes. Butter a deep pie dish. Put the flour, salt and remaining ¼ cup sugar in the large bowl. Add the eggs and mix in followed by the milk and another thorough mixing. Put the cherries in the pie pan and pour in the batter. Stick it in the oven and bake for 35-40 minutes or until golden. Dust with the caster sugar. Note: The traditional method is to not pit the cherries. Leaving the stones in keeps the cherries very juicy. However, you can de-pit them if you so desire. But if you do leave them in, be sure to let your guests know before eating. Unless they support Chelsea, Fulham and Brentford. Introduction: William Edward “Bill” Nicholson OBE (26 January 1919 – 23 October 2004) player, coach, manager and scout who had a 36-year association with Spurs. He joined the Spurs ground staff in 1936 and signed as a professional there when he was eighteen. Then he joined the Durham Light infantry at the outbreak of the second world war becoming a Sergeant Instructor where he learned training and man management techniques. He returned to Tottenham Hotspur in 1946 to play 314 games and scoring six goals. He was a key part of the “push and run” team that won the 1950-51 league championship. He managed Tottenham Hotspur from 1958 to 1974, leading them to the first League/FA cup double of the twentieth century in 59/60, the first British team to win the European Cup in 1963, winning the first all London FA Cup final against Chelsea, the League Cup again in 1971 and 73 and UEFA Cup in 1972. Does this make him the most important figure in Spurs history? And so to the recipe… There are two ways of preparing these buns, the American way is to put them directly onto the baking sheet, the Swedish way is to put them into bun cases on the baking tray. You can choose case/no case. It’s up to you but this is mostly the Swedish approach. Put the yeast in a bowl and stir in a few tablespoons of milk. Melt 75g of butter and pour in the milk, now add 50g of the granulated sugar, salt, cardamom and flour. Knead the dough for 10-15mins. Cover the bowl with cling film and let the dough rise at room temperature for half an hour. Roll out the dough to about 3mm thick and 30cm wide. Spread the rest of the room-temperature butter on top. Make a mixture of the rest of the sugar and the cinnamon and sprinkle it over the dough. Roll the dough lengthwise to make a Swiss roll affair, cut the roll into about 25 slices. Place them with the cut edge facing up into bun cases on the baking sheet and let them rise under a tea towel for about an hour or until the buns have doubled in size. Beat together the egg and 2 tablespoons of water, brush the mixture carefully over the buns and sprinkle sugar on top to finish. Bake in the pre-heated oven for 6-8mins. Allow to cool on a wire rack. Arrange on cake stand and scoff with afternoon tea or coffee at half time.